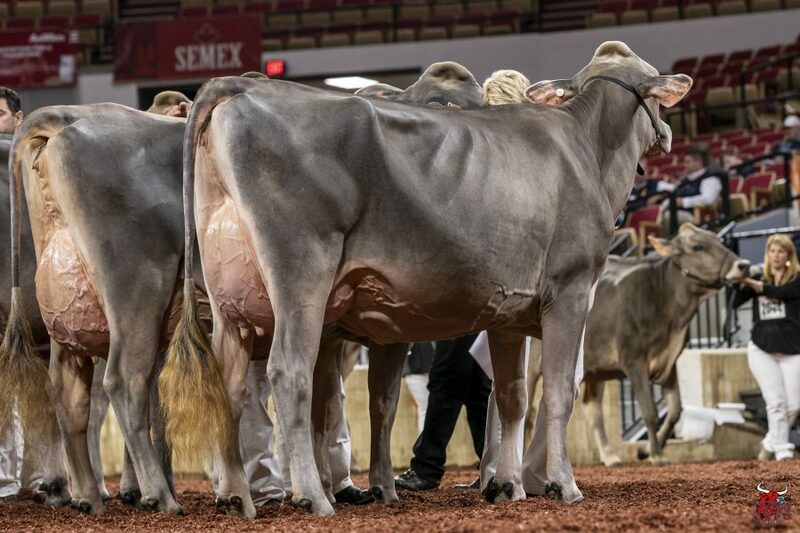 After being named Grand Champion Female of the International Junior Brown Swiss Show, Cutting Edge T Delilah continued her winning streak claiming Grand Champion Female of the 2018 International Brown Swiss Show. 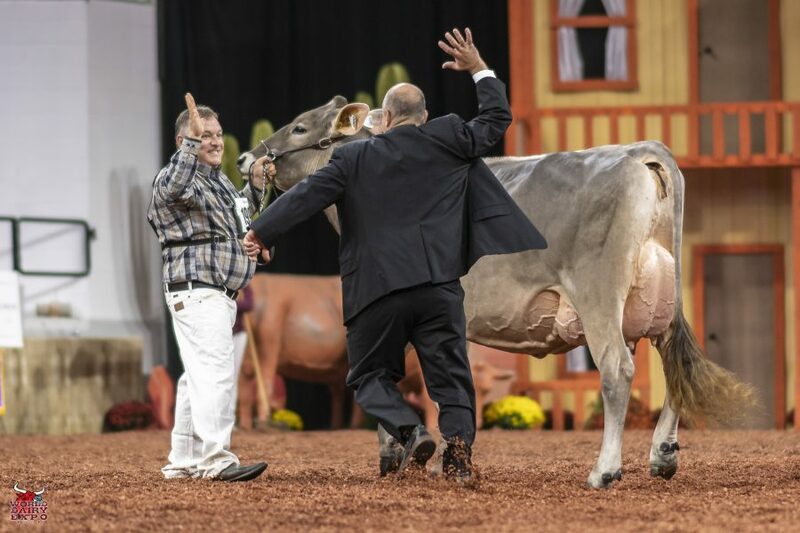 This winning Five-Year-Old Cow, Senior Champion Female and Grand Champion Female, was exhibited by Kyle Barton, Copake, N.Y. 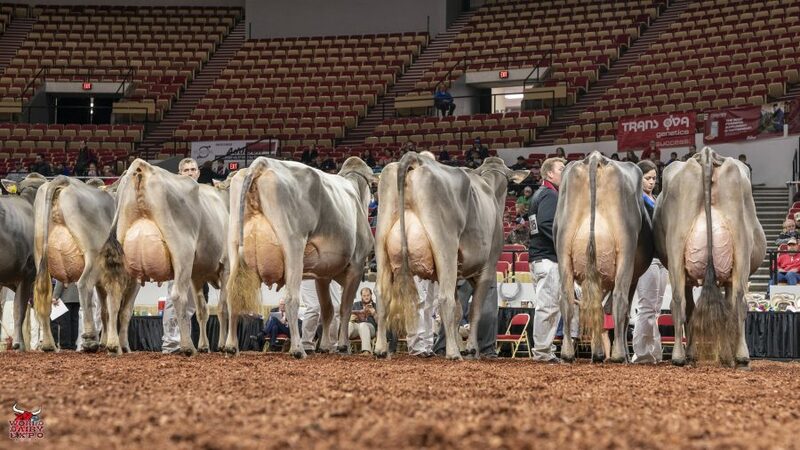 The duo took home the $1,000 Udder Comfort Grand Champion Cash Award and the Allen Hetts Grand Champion Trophy. 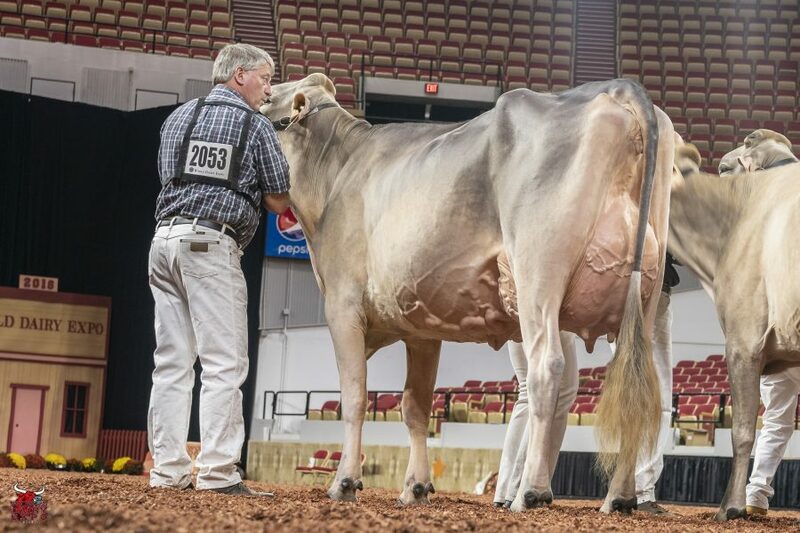 Delilah is no stranger to the colored shavings as the 2016 Reserve Supreme Champion of the Junior Show. 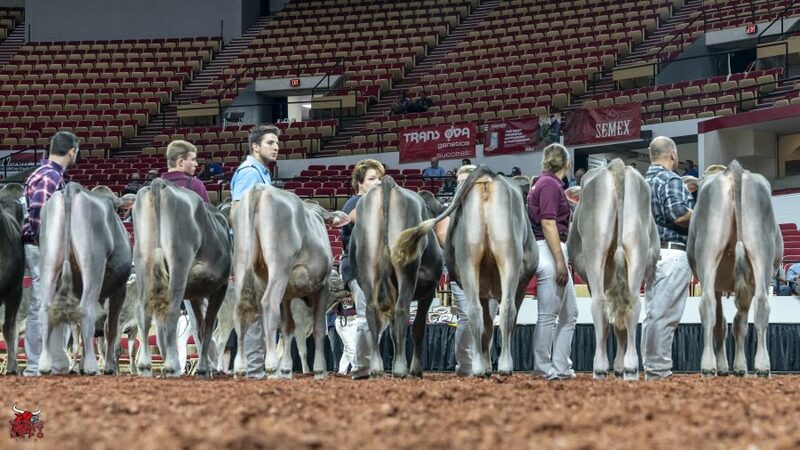 First in the Aged Cow, Six-Year-Old & Older Cow Class, Reserve Senior Champion Female and Reserve Grand Champion of the International Brown Swiss Show was Cutting Edge Stratus Sue, exhibited by Ronald R Kelm of Markesan, Wis. 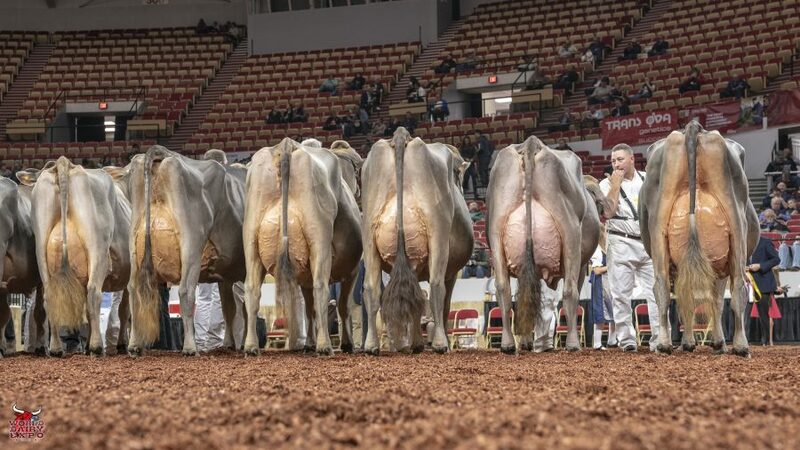 The Intermediate Champion was also a Cutting Edge cow, Cutting Edge B Kandy, exhibited by Ken Main, Peter Vail and Allen Brisson of Copake, N.Y. As Intermediate Champion, Kandy’s award includes a free ovum pick-up, compliments of Vytelle LLC. 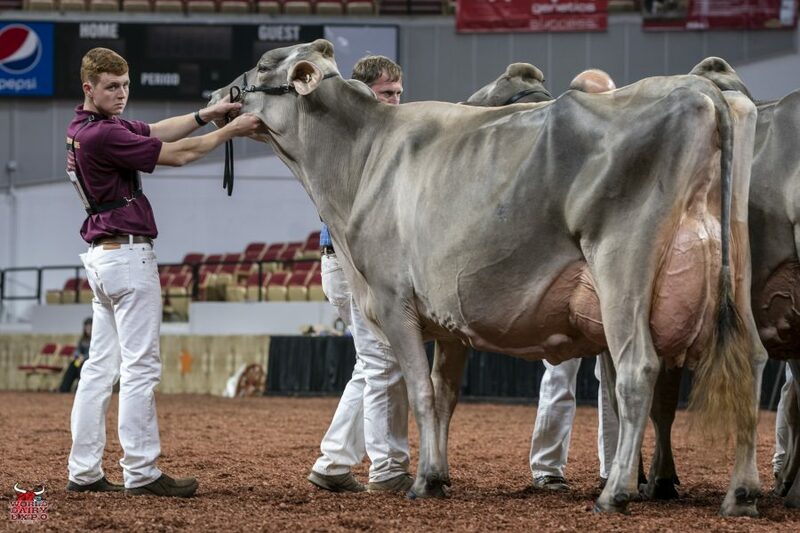 Rounding out the champion cows is Reserve Intermediate Champion, Iroquois Acres Jong Cali, exhibited by Matthew Pacheco, Kerman, Calif.
Robland Norwin Mayday was the winning Spring Yearling Heifer and Junior Champion of the International Brown Swiss Show. Mayday is owned by Elijah Landgraf of Jackson, Mo. 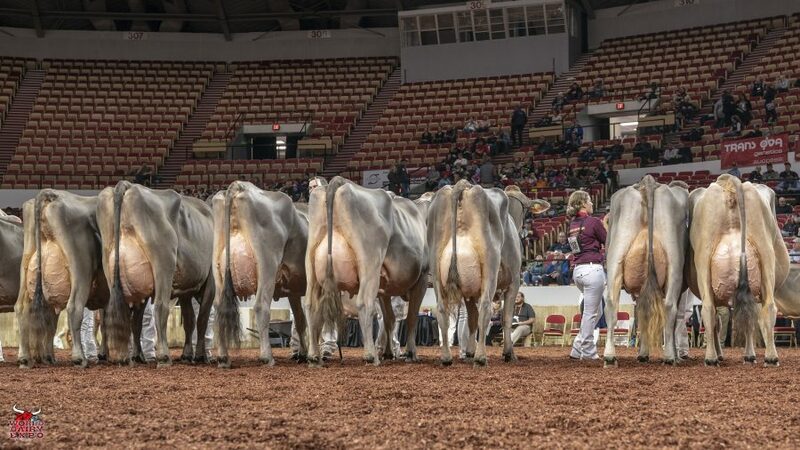 E Kueffner, T Packard and M & L Hellenbrand of Boonsboro, Md. 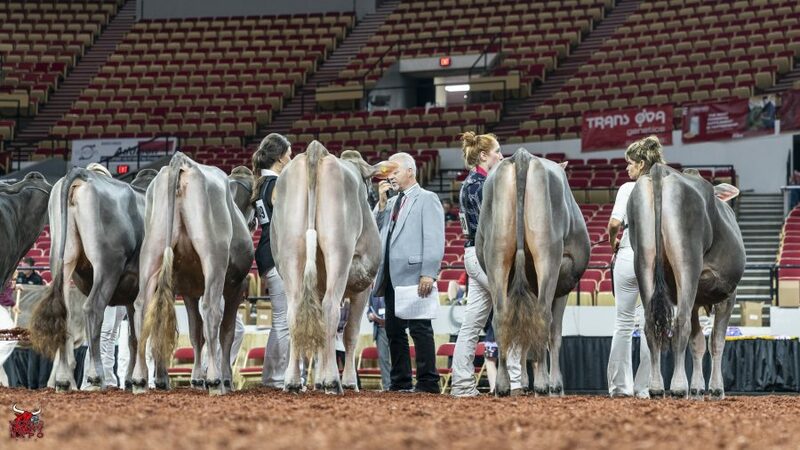 are the owners of the winning Winter Yearling Heifer and Reserve Junior Champion, Wind Mill Carter Snow Angel. 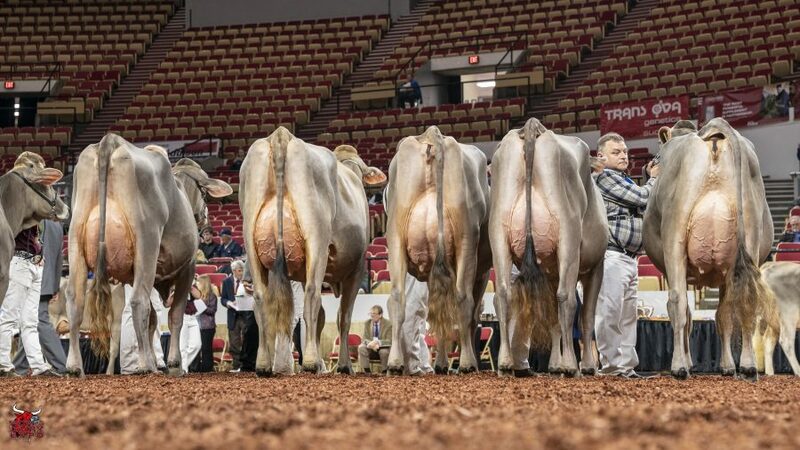 Awarded Premier Breeder and Exhibitor of the Heifer Show and Premier Breeder and Exhibitor of the International Brown Swiss Show was Elite Dairy, Ken Main and Peter Vail, Copake, N. Y. 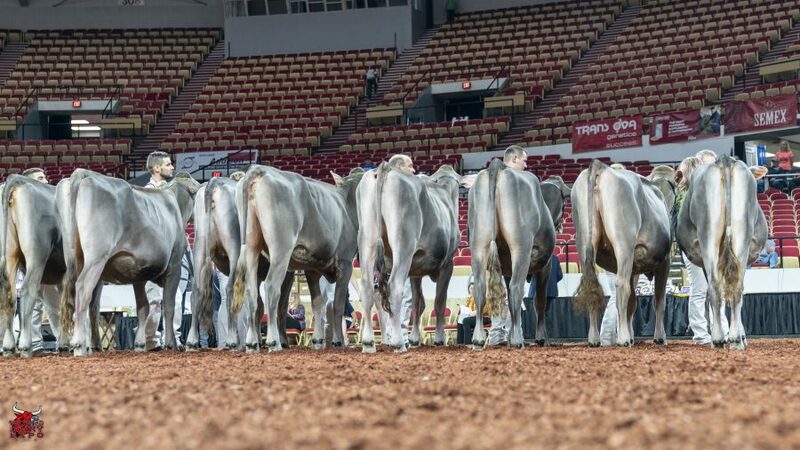 Premier Sire of the Heifer Show was Voelkers TD Carter and Premier Sire was awarded to Blessing Tex Braiden-ET. 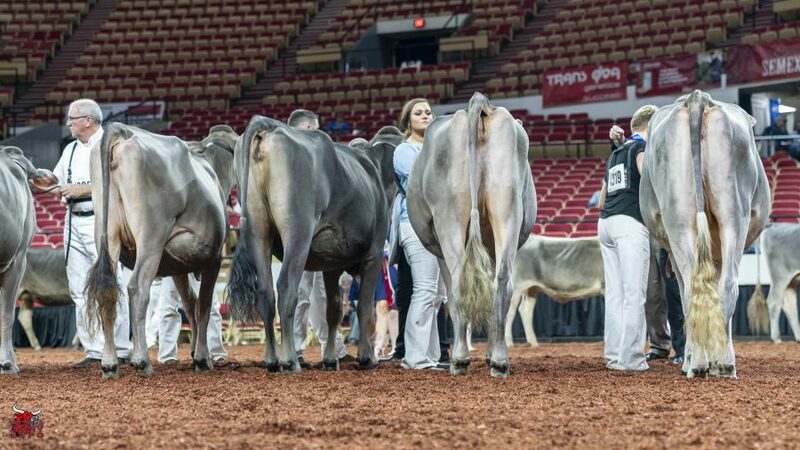 Cutting Edge T Delilah took home two Champion trophies at the International Junior Brown Swiss Show for the third time in four years. 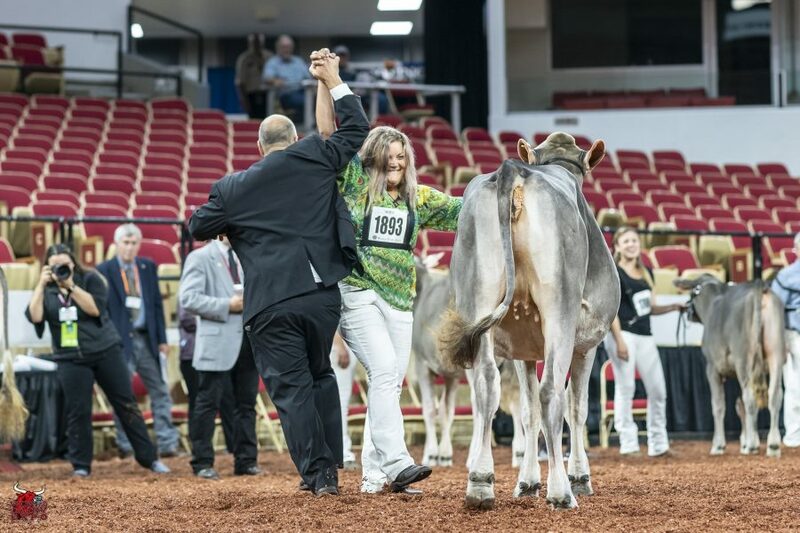 Owned by Kyle Barton of Copake, N.Y., Delilah’s first trip across the colored shavings on October 4 was when she topped the Five-Year-Old Cow Class on her way to being named Senior and Grand Champion Female. 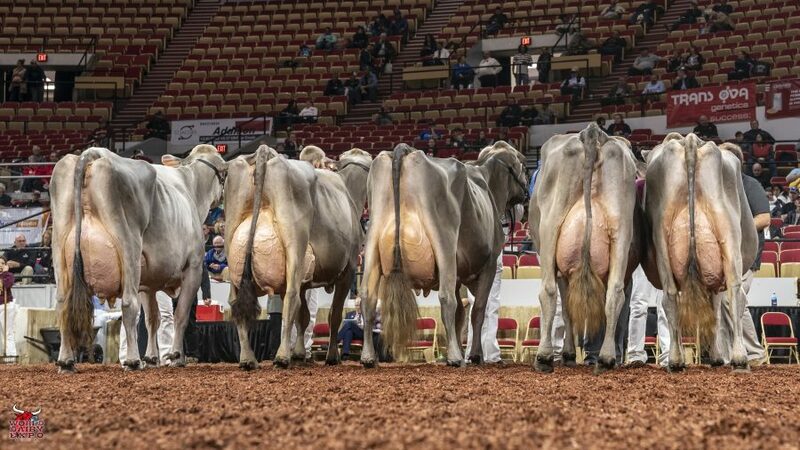 Delilah was presented with the $500 Udder Comfort Grand Champion Cash Award and the Lillian & Keith King and Jim King Grand Champion of the Junior Show Award along with her titles. 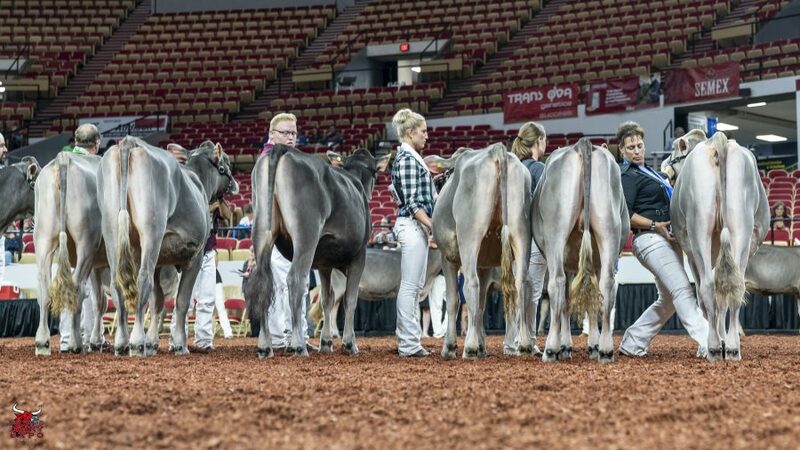 Reserve Grand Champion of the International Junior Brown Swiss Show was Jenlar Carter Waltz-ETV, shown by Brianna Meyer of Chilton, Wis. Waltz was the winning Junior Two-Year-Old Cow and Intermediate Champion of the Show. 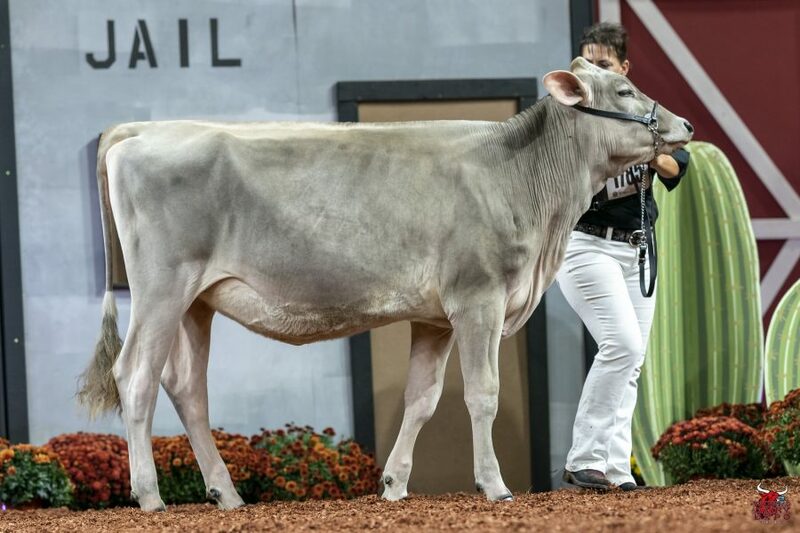 Reserve Senior Champion of the International Junior Brown Swiss Show was Niermans Valor Violet. Violet hails from Clayton, Ind. and is owned by Anna Marie and Carter Settles. 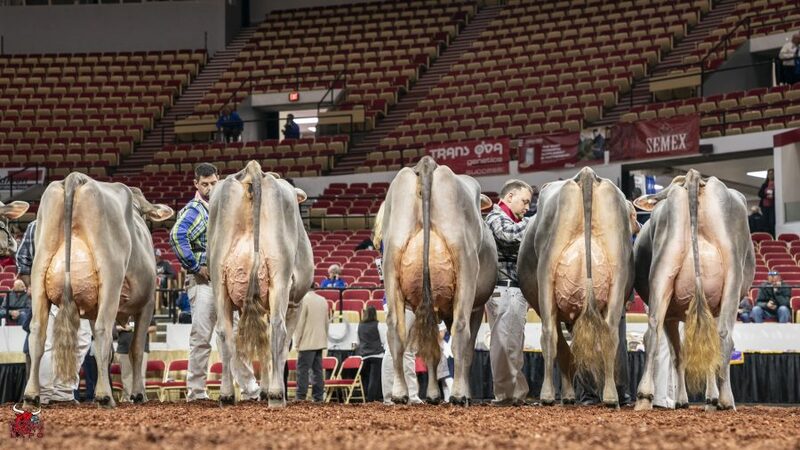 Violet was the winning entry in the Four-Year-Old Cow Class. 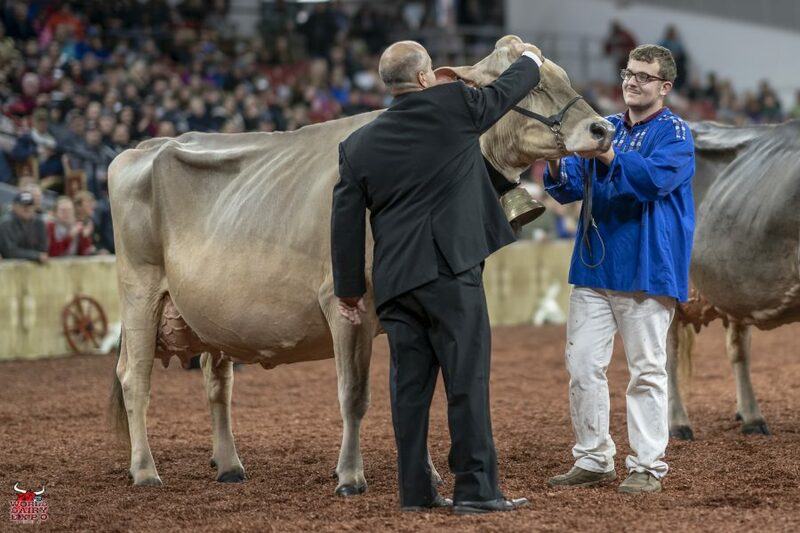 Reserve Intermediate Champion, from Evansville, Wis., was Trackside Java Cadillac. Cadillac is owned by Otis, Malcolm, and Quincee Johnson. 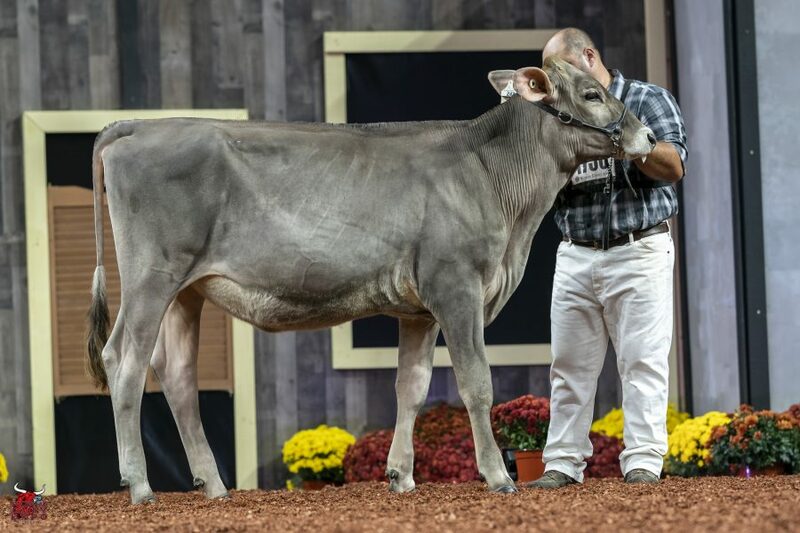 Junior Champion of the Junior Show went to the winning Spring Yearling Heifer, Silver Top Allstar Trick, leased by Shelby Biasini of Morrisville, Vt., and owned by Silver Top Swiss. 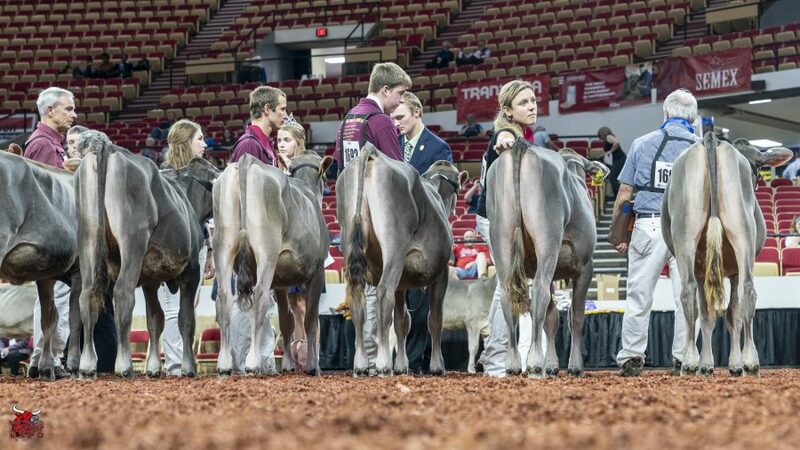 Reserve Junior Champion honors were presented to Hilltop Acres CT Glaze, the first place Fall Heifer Calf, owned by Kaleb, Cole and Carter Kruse of Dyersville, Iowa. 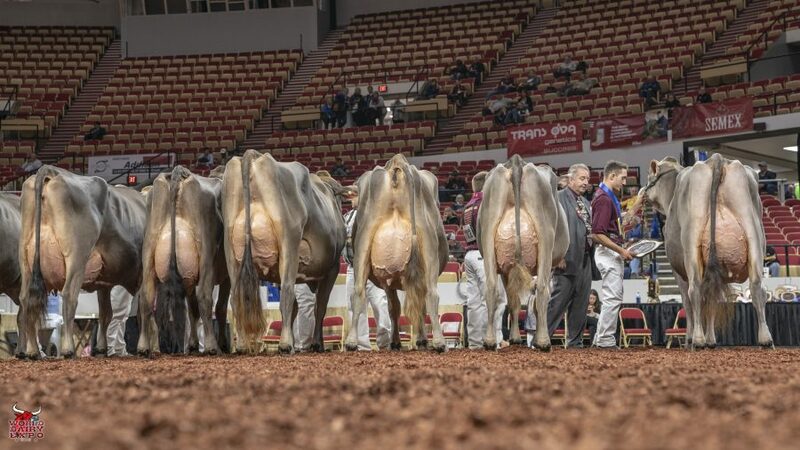 Evaluating the 335 entries were official judge Steve Wagner, Richford, Vt., and associate judge Christopher “Chip” Savage, Union Bridge, Md.